The defence spending figure is closely watched worldwide for clues to China's strategic intentions as it develops new military capabilities, including stealth fighters, aircraft carriers and anti-satellite missiles. 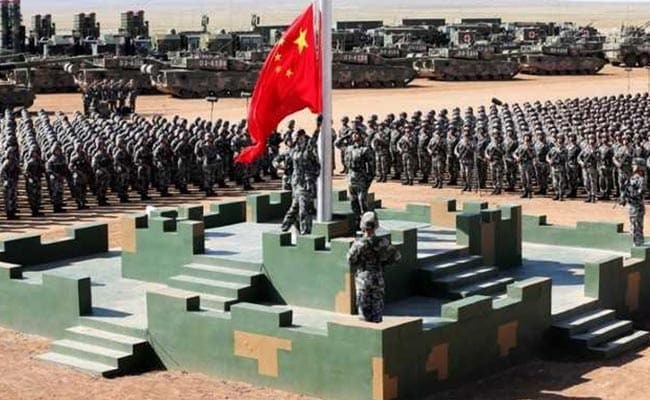 Beijing: China on Monday unveiled its largest defence spending increase in three years, setting an 8.1 percent growth target this year, fuelling an ambitious military modernisation programme and making its neighbours nervous. The 2018 defence budget will be 1.11 trillion yuan ($175 billion), according to a report issued at the opening of China's annual meeting of parliament. China will "advance all aspects of military training and war preparedness, and firmly and resolvedly safeguard national sovereignty, security, and development interests," Premier Li Keqiang told the opening session in an address. "Faced with profound changes in the national security environment" the absolute leadership of the military by the ruling Communist Party must be observed, and the unity between the government and the military, and the people and the military, must always be "strong as stone," he said. Li also said China had basically completed efforts to cut back its armed forces by 300,000, a move President Xi Jinping announced in 2015 to improve efficiency that had caused unease in the ranks. The U.S. Defense Department did not immediately respond to a request for comment on the increased spending by its main strategic rival in Asia. However, a State Department official said on condition of anonymity that "we continue to carefully monitor China's military developments and to encourage China to exhibit greater transparency with respect to its capabilities and intentions." "We encourage China to use its military capabilities in a manner conducive to the maintenance of peace and stability in the Indo-Pacific region," the official added. U.S. President Donald Trump has proposed the largest military budget since 2011, focused on beefing up the United States' nuclear defences and countering the growing strength of China and Russia. The proposal would provide the Pentagon with $617 billion and an additional $69 billion to fund ongoing wars in fiscal 2019. That is $74 billion more than in the previous fiscal year. China's military build-up has unnerved its neighbours, particularly because of its increasing assertiveness in territorial disputes in the East and South China Seas and over Taiwan, a self-ruled territory Beijing claims as its own. "We would like to see China be more transparent about its defence policy, including spending and the direction of its military power," Japan's Chief Cabinet Secretary, Yoshihide Suga, told a regular briefing. Taiwan's China policy-making Mainland Affairs Council said China's moves to raise defence spending and military drills have increased tension. "China should take international concerns seriously, increase its defence budget's transparency and give up its targeted military deployment towards Taiwan in order to avoid an escalation of regional tension," it said. The 2018 defence spending increase comes as China's economy expanded 6.9 percent last year, the first annual growth pick-up since 2010. But China kept its 2018 economic growth target at around 6.5 percent, said Li, the same as in 2017, despite exceeding that year's target. Last year, defence spending was set to increase just 7 percent, to 1.044 trillion yuan ($164.60 billion), or about one-quarter of the proposed U.S. defence spending for the year. In 2016, it grew 7.6 percent. "The pace and scale of this build-up are really dramatic. 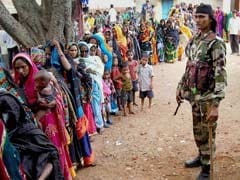 It is extremely alarming for Australia and many other countries in the region," said Sam Roggeveen, a visiting fellow at the Strategic and Defence Studies Centre of the Australian National University in Canberra. "There is every indication that China wants to expand what it will call defence capabilities in the South China Sea. I expect eventually we will see warships and aircraft there regularly, if not based there permanently. What is unclear, however, is whether the United States will want to rise to that challenge." China does not provide a breakdown of its defence budget, leading neighbours and other military powers to complain that Beijing's lack of transparency has added to regional tension. Diplomats say China's defence numbers probably underestimate true military spending for the People's Liberation Army, the world's largest armed forces, which are in the midst of an impressive modernisation programme overseen by Xi. One senior Asia diplomat said before the announcement that the real rise would probably be at least double what China revealed, considering its efforts to build up the industrial military complex and deepen military-civilian integration. "Some spending will be hidden in civilian spending," said the diplomat, speaking on condition of anonymity. With worries about potential disputes with the United States in the region, China's military had mounted what defence sources and diplomats viewed as a lobbying campaign for more spending. In an article on its website, China's Defence Ministry cited Chen Zhou, a researcher at the Academy of Military Science, as saying the spending increase was "reasonable" and "sustainable" and that there were no "hidden military funds." Chinese Vice Foreign Minister Zhang Yesui said on Sunday that China's "moderate" defence spending rises in the past few years were less than for other major countries and would not threaten anyone.